Hi guys! I've been on prac this last week, and I must say I'm absolutely loving it! 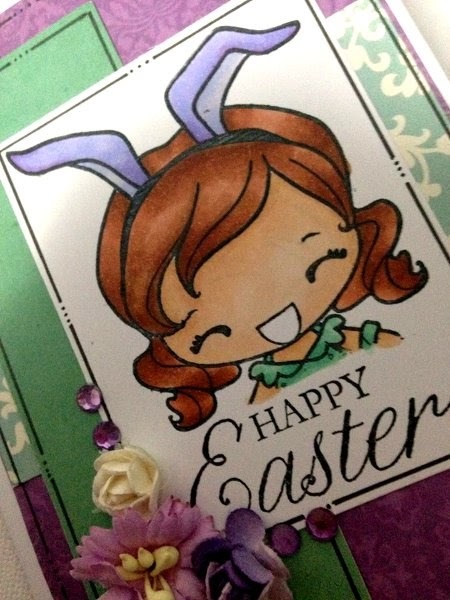 I haven't had much time to craft though... Last night though, I had a friend over, who asked for two belated Easter cards... So, I sat and created! 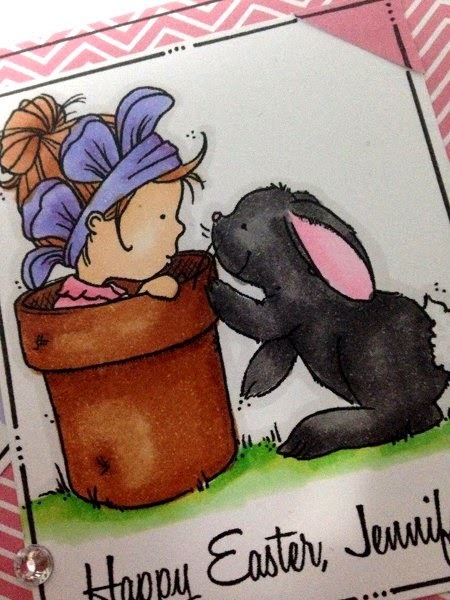 This one, I used a Greeting Farm stamp, coloured with my spectrum Noir Markers, and patterned papers from Carte Bella, Echo Park and Kaisercraft. 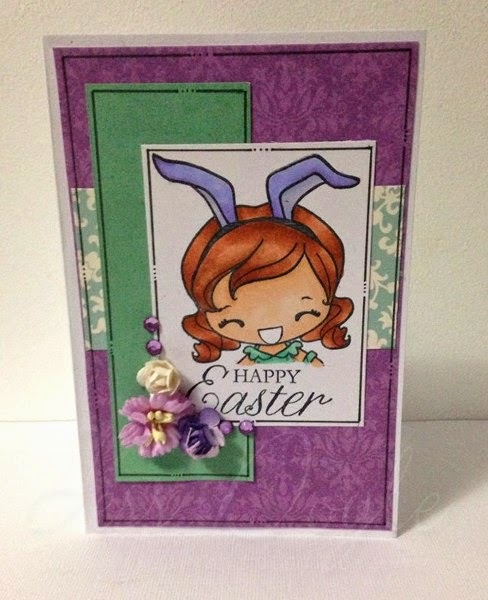 I used paper flowers from D-Lish Scraps and the sentiment is from Stampin' Up! I used the sketch from Mojo Monday for this card. Great card! Awesome coloring!Really fun take on the sketch and I love those doodled borders! 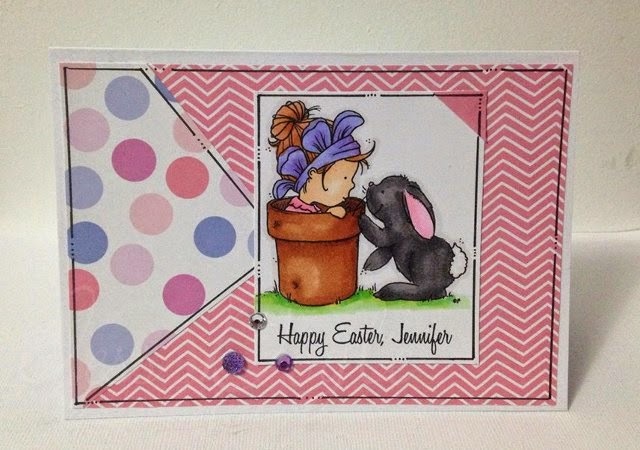 Thanks for joining the From the Heart Stamps Sketch Challenge this week!